Welcome to Z MEDIA. Please fill out this contact form so that we may better assist you. We're here to help! You may also reach us by phone at ​216-469-8267. Wedding Stories in Motion :: Thank You! 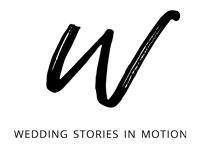 Thank you for contacting Wedding Stories in Motion! We'll get back to you as soon as we can. We look forward to speaking with you! Return to the Wedding Stories in Motion website.